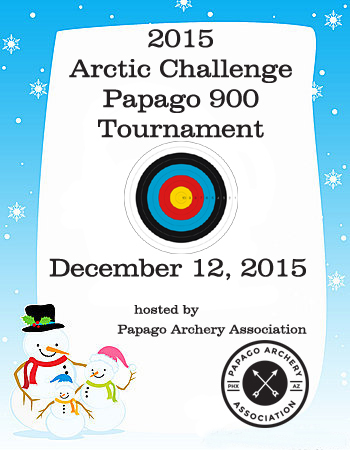 The 900 round tournaments hosted by Papago Archery Association (PAA) are the perfect “first time” outdoor tournament for archers of all ages, especially the youth, and fun shoots for any archer that enjoys a little friendly competition. First Round will begin after official practice. 900 Round on 122cm target faces* – Archers will shoot three (3) rounds at three (3) different distances. Each round will be 30 arrows (5 ends of 6 arrows). There will be a break between the middle and short distances. *Bales with only compound archers (Division Cub-Master) will use (2) 122 cm five ring center spot target faces. Lanes will be identified when tentative lane assignments are posted. *All archers are allowed to shoot up in a higher division if desired. USAA rules apply. Equipment and Arrow size limitations per USAA Rules and Regulations. Please see link below for more details.